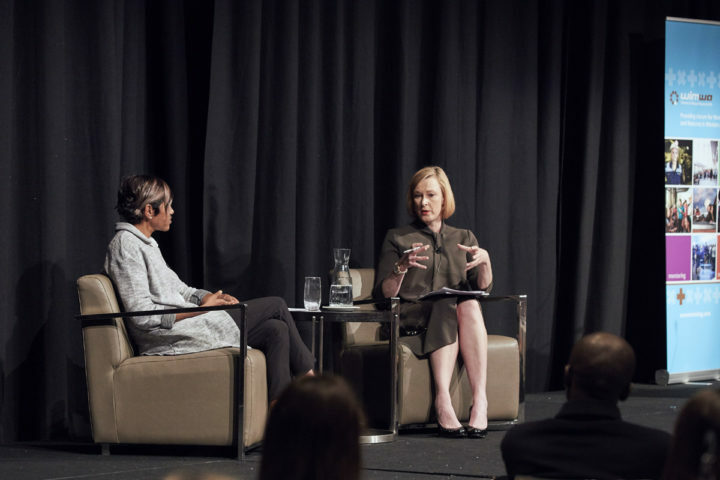 At the recent WIMWA Summit award winning journalist Leigh Sales held a compelling conversation with one of the WA mining and resource sector’s own: Kyra Bonney. Kyra Bonney strongly believes that great change is possible through the ripple effect. The first of her 100 cousins to finish Year 12, she has worked extensively across WA in a range of mining companies, winning the Chamber of Minerals and Energy’s “Outstanding Woman in Resources” award and was named one of WA’s 40under 40 in 2015. Kyra Bonney is a Guburn (Kupurn) women from the Gold elds with connections to Noongar country. While working, Kyra completed a Bachelor of Applied Science in ‘Indigenous Community Management and Development’; the first in her family to graduate with a university degree. Currently working for Chandler Macleod as Indigenous Manager WA she is responsible for recruiting and managing Indigenous projects for their clients and balances her working life with supporting her teenage daughter. ← The merit myth and strategies for recognising real talent.